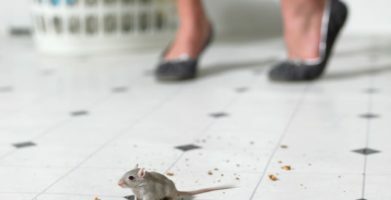 Having a rodent problem in your home or garage doesn’t mean you have to settle for inhumane, toxic or messy solutions such as pesticides or rat traps. Stay Away® Botanical Rodent Repellent is the all-natural alternative to rid home and property of mice and rats. The earthkind® patented pouch design delivers a long-lasting, slow release of proven essential oils, reliably “keeping rodents out” of treated areas for up to three months. Simply place Stay Away® pouches in areas you wish to prevent rodent infestations. Replace pouches when scent has diminished. No messy clean-up, just dispose of in the trash. Made with essential oils and plant fiber, grown on family farms. Licensed, and certified safe ingredients, by the Federal EPA. With Stay Away® pouches, you’ll never have to worry about your rodent problem again. This botanical rodent repellent will keep mice and rats out of garages, homes and other enclosed areas. If you aren’t 100% satisfied we’ll refund your money! Rodents have notably poor eyesight, but a heightened sense of smell to make up the difference. Overpowering their little noses with a scent that is pleasant to humans but offensive to mice has been proven effective at making them ‘stay away.’ Mice won’t nest in areas where they can’t smell a predator coming. Simply place four pouches in your garage or other enclosed storage place to immediately start controlling your mouse problem. For preventative use in non-infested areas, simply place one pouch for every 125 sq. feet, scent lasts up to 90 days. For use in currently infested areas, increase use to 1 pouch per 8 sq. feet of floor space and replace every 30 days. One whiff of this specially formulated blend is enough to send rodents packing. Click here to get the complete use recommendations. Having an ant problem in your home does not mean you have to settle for inhumane, toxic or messy solutions. Stay Away® Ants is the all-natural way to prevent ants from invading your home. Ants are one of the most common pests in and around homes. Ants usually only become a nuisance when they invade your home and contaminate your food. The best way to avoid an ant problem is to seal them out of a house by filling in the cracks in the foundation and caulking cracks around doors, windows, plumbing and electrical conduits. Seal any other openings where they have an entry. The earthkind® patented pouch design delivers a long-lasting, slow release of proven essential oils, reliably “keeping ants out” of treated areas for up to three months. Simply place Stay Away® Ant pouches in areas you wish to prevent ants in your home. Replace pouches when scent has diminished. Ants are generally considered beneficial insects. Their tunneling helps to aerate the soil and many species of ants feed on insects that can become a pest in your home. But, when ants have contaminated the food in your pantry they are no longer beneficial in your home! Our proven blend of lemongrass, peppermint, and thyme targets ants’ olfactory receptors and causes them to find treated areas as unpalatable. Foraging ants will not want to bring food from treated areas back to their colony, or lead their colony to treated areas because the scent is offensive to them. Use anywhere ants go to find food. Place pouches in your pantries, cupboards, kitchens, basements or places you would like to prevent them from entering. Use one pouch per cupboard or small space; two pouches per large pantry. Generally, increase the number of pouches as needed until the desired results have been achieved. * Replace the pouches with fresh product when the scent has diminished. This usually happens in 30-60 days. *If the scent seems overwhelming in a small space, reduce the number of pouches you are using. With Stay Away® Ants pouches, you’ll never have to worry about your ant problem again. This natural and safe pest prevention product will keep ants out of protected areas. Having a spider problem in your home does not mean you have to settle for inhumane, toxic or messy solutions. Stay Away® Spiders is the all-natural way to prevent spiders from invading your home. Spiders live almost everywhere, including, inside our homes. Most spiders spin webs in room corners, basements, crawl spaces, ceiling eaves and beams. Spiders eat living insects and animals tiny enough for them to catch. Simply place Stay Away® Spiders pouches in areas you wish to prevent spider infestations. Replace pouches when scent has diminished. Spiders usually establish themselves in areas that are quiet and free of human disruptions, as they are extremely sensitive to most vibrations. Spiders have a highly developed sense of smell and taste through their many legs. Our proven blend of citronella, lemongrass, and rosemary interferes with spiders’ ability to sense their prey, as well as helps to repel various types of prey from the treated area, (citronella & lemongrass commonly repels flies and small winged insects) causing spiders to stay away. Use anywhere spiders or webs are noticed. Areas such as: basements, dormers, closets, attics, crawl spaces or places you would like to prevent them from entering and establishing webs. Use one pouch per entryway or dormer; use two pouches per small room. Generally, increase the number of pouches as needed until the desired results have been achieved. * Replace the pouches with fresh product when the scent has diminished. This usually happens in 30-60 days. With Stay Away® Spiders pouches, you’ll never have to worry about your spider problem again. This natural and safe pest prevention product will keep spiders out of protected areas. Having a moth problem in your home does not mean you have to settle for inhumane, toxic or messy solutions. Stay Away® Moths is a safe and effective solution to moth prevention and offers protection for your clothes while in storage. Simply place Stay Away® Moths pouches in areas you wish to prevent infestations. Replace pouches when scent has diminished. The best way to avoid a moth problem is to limit their access to food – your clothing. Clothing moths love protein-based fibers like wool, carpeting, furs, pet hair and hair brushes. That’s why you will find them in closets, on clothing, carpets, rugs, upholstery, blankets and stored silk, mohair or woolen fabrics. They will even feed on synthetic fibers, cotton and linen – usually if they are soiled with body oil or food stains. Cedar chests have long been used to store linens and clothing since the scent helps keep moths away, but the effect has had a short shelf life. We’ve found a unique blend of essential oils that incorporates this traditional wisdom into an easy to use patented pouch so you can make moths ‘stay away’ from your personal property no matter where it is stored, no expensive, heavy, wooden chest necessary! Use anywhere clothes or linens are stored. Place pouches in common areas like: storage chests, linen closets, wardrobes and other places you would like to prevent moths from entering. Use one pouch per storage container or small closet; use two pouches per small room. Generally, increase the number of pouches as needed until the desired results have been achieved. * Replace the pouches with fresh product when the scent has diminished. This usually happens in 30-60 days. It is important to note that adult insects don’t feed on the woolens or any of the other materials that might be attacked by the larvae. So if you see an adult moth in an area, it doesn’t mean the damaging larvae are, or will be in the same place. The adults may have laid their eggs in another room or they may just be looking for a way out. So be sure to place Stay Away® Moths pouches in all your clothing storage areas. With Stay Away® Moths pouches, you’ll never have to worry about your moth problem again. This natural and safe pest prevention product will keep moths out of protected areas. 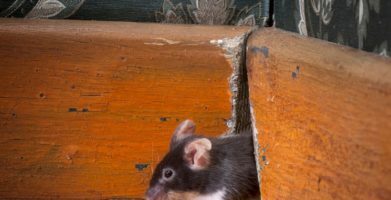 Having a rodent problem in your home or garage doesn't mean you have to settle for inhumane, toxic or messy solutions such as pesticides or rat traps. Stay Away® Botanical Rodent Repellent is the all-natural alternative to rid home and property of mice and rats. The earthkind® patented pouch design delivers a long-lasting, slow release of proven essential oils, reliably "keeping rodents out" of treated areas for up to three months. With Stay Away® pouches, you'll never have to worry about your rodent problem again. This botanical rodent repellent will keep mice and rats out of garages, homes and other enclosed areas. If you aren't 100% satisfied we'll refund your money! Rodents have notably poor eyesight, but a heightened sense of smell to make up the difference. Overpowering their little noses with a scent that is pleasant to humans but offensive to mice has been proven effective at making them ‘stay away.’ Mice won’t nest in areas where they can’t smell a predator coming. 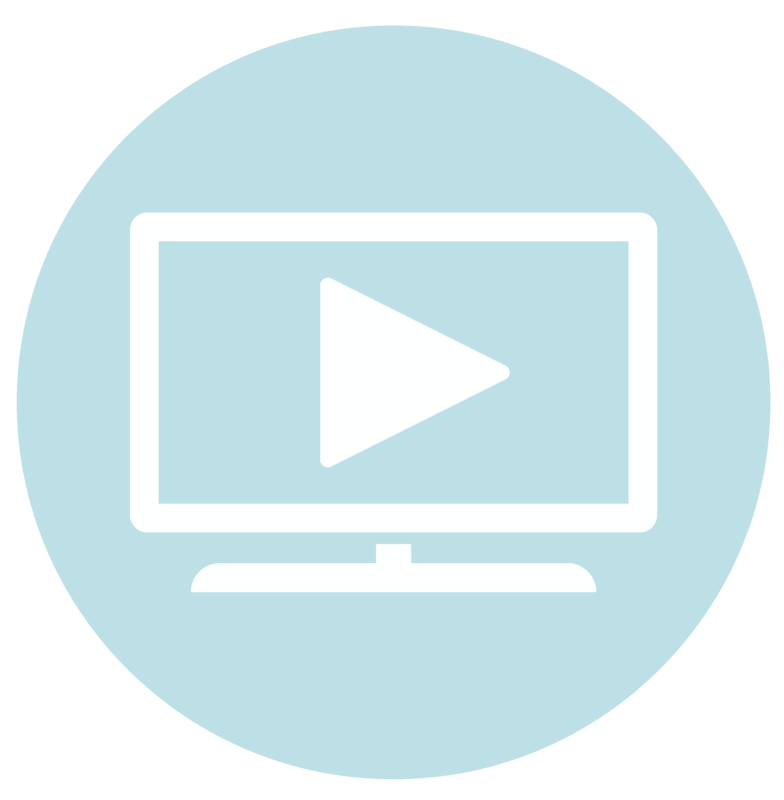 Simply place four pouches in your garage or other enclosed storage place to immediately start controlling your mouse problem. The earthkind® patented pouch design delivers a long-lasting, slow release of proven essential oils, reliably "keeping ants out" of treated areas for up to three months. Simply place Stay Away® Ant pouches in areas you wish to prevent ants in your home. Replace pouches when scent has diminished. Our proven blend of lemongrass, peppermint, and thyme targets ants' olfactory receptors and causes them to find treated areas as unpalatable. Foraging ants will not want to bring food from treated areas back to their colony, or lead their colony to treated areas because the scent is offensive to them. With Stay Away® Ants pouches, you'll never have to worry about your ant problem again. This natural and safe pest prevention product will keep ants out of protected areas. Having a spider problem in your home does not mean you have to settle for inhumane, toxic or messy solutions. Stay Away® Spiders is the all-natural way to prevent spiders from invading your home. Spiders live almost everywhere, including, inside our homes. Most spiders spin webs in room corners, basements, crawl spaces, ceiling eaves and beams. Spiders eat living insects and animals tiny enough for them to catch. Simply place Stay Away® Spiders pouches in areas you wish to prevent spider infestations. Replace pouches when scent has diminished. Spiders usually establish themselves in areas that are quiet and free of human disruptions, as they are extremely sensitive to most vibrations. Spiders have a highly developed sense of smell and taste through their many legs. Our proven blend of citronella, lemongrass, and rosemary interferes with spiders' ability to sense their prey, as well as helps to repel various types of prey from the treated area, (citronella & lemongrass commonly repels flies and small winged insects) causing spiders to stay away. With Stay Away® Spiders pouches, you'll never have to worry about your spider problem again. This natural and safe pest prevention product will keep spiders out of protected areas. Having a moth problem in your home does not mean you have to settle for inhumane, toxic or messy solutions. Stay Away® Moths is a safe and effective solution to moth prevention and offers protection for your clothes while in storage. Simply place Stay Away® Moths pouches in areas you wish to prevent infestations. Replace pouches when scent has diminished. Cedar chests have long been used to store linens and clothing since the scent helps keep moths away, but the effect has had a short shelf life. We've found a unique blend of essential oils that incorporates this traditional wisdom into an easy to use patented pouch so you can make moths 'stay away' from your personal property no matter where it is stored, no expensive, heavy, wooden chest necessary! With Stay Away® Moths pouches, you'll never have to worry about your moth problem again. This natural and safe pest prevention product will keep moths out of protected areas. string(21) "How To Use Stay Away"